I’ve been following Legrand Legacy for a while, now. I enthusiastically previewed the Pre-Alpha in late 2016, and celebrated later on the fact that, after taking a bit of a tumble the first time around, the game made a triumphant return during its second Kickstarter. I couldn’t wait to dive headfirst into the game as soon as I got the chance, and that’s just what I did when I finally got my hands on a copy of it. And, unlike the last Kickstarter-funded game that I reviewed, this one left me quite happy. So much for being down and out. 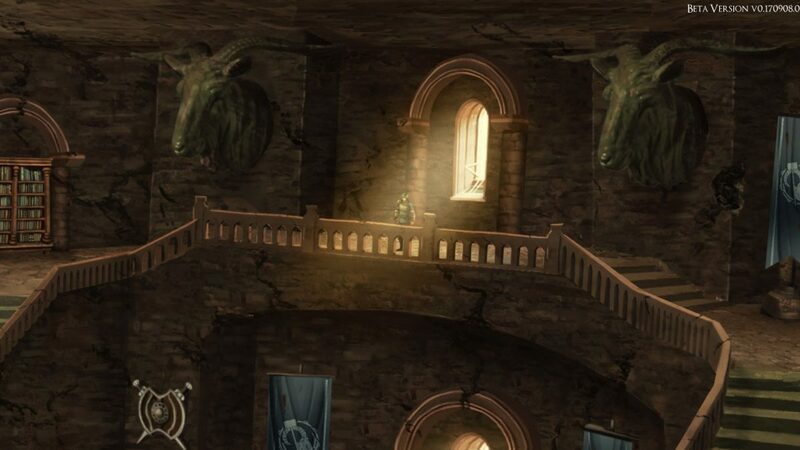 Legrand used to be a beautiful realm but, as Legrand Legacy quickly gets across to the player, that’s no longer the case. The game opens up with Finn, the game’s (amnesiac) protagonist, being forced into an arena. 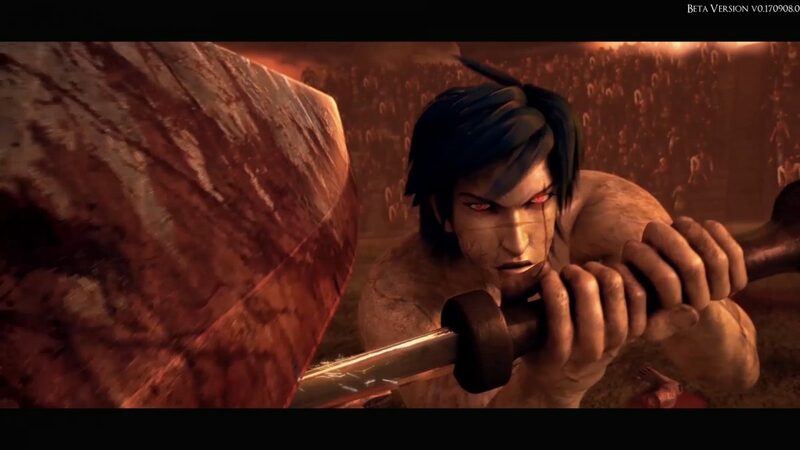 Confused and scared, Finn examines his surroundings only to lock eyes on his opponent in the middle of the arena… who appears to be too busy beheading corpses and bathing in their blood to give him much notice. Of course, that doesn’t last long. After realizing his next victim has finally arrived, the berserker-esque arena champion charges as Finn, making quick work of him. …Or so he thought. Right as Finn was about to meet his death, he entered a mysterious trance which, along with giving him a demon-like aura, bestowed upon him exceptional strength. Using this new power, Finn managed to turn the tables, and defeat his adversary — while still avoiding killing him. Fortunately for Finn, things got better after that. Mostly, anyway. Soon after his battle in the arena, Finn finds himself thrown into a chain of events which have him being rescued from his captivity, and embarking on a journey which would ultimately lead him to be recognized — alongside several others — as one of the Fatebound, whose destiny was to stop the coming of the hellish Fir Bolgs, and restore Legrand to its former glory. I know what you’re thinking, but Geddo’s actually a pretty alright guy. Some of you more keen-eyed readers might have already figured out, but Legrand Legacy‘s narrative most definitely what you would call “classic”. Between tropes like a story involving saving the world, an amnesiac protagonist, and a looming fight against a demonic entity, this is game knows exactly what it wants to be; an homage to the glory days of the old-school (or at least old-school-ish) RPG. Yeah, sure, it’s cliche. But it’s been so long since this kind of thing has been the norm, that its old-school commitment actually comes off as being very refreshing. And that’s only made even better by the fact that it sticks to its wonderfully nostalgic roots so well. Legrand Legacy‘s nostalgia trip doesn’t just stop with the game’s narrative; it’s crept into nearly every part of the game — pacing included. Unlike many modern-day RPGs, Legrand Legacy is fairly linear with how it plays out. In fact, while the game’s art style feels very Final Fantasy VII, the way in which the adventure takes place feels a lot more like Final Fantasy X (until you get the airship, anyway). Legrand Legacy looks forward much more often than it looks back, and firmly sets its sights on the events surrounding the main storyline. There aren’t endless subplots popping up, nor are there areas teeming with cryptic secrets to uncover. Generally, what you see is what you get. Along with being mostly linear, Legrand Legacy also follows a very familiar-feeling path when it comes to exploring the world. Remember when progressing through a game used to include something like “go to new town > story > go to new dungeon > story” and continue on like that in a loop? That’s pretty much Legrand Legacy. It’s simple, but it’s also enjoyable. Because of how the game paces itself, it’s able to balance out gameplay and plot progression quite nicely. However, just because certain things are predictable doesn’t mean that they’re easy. Especially when it comes to the game’s dungeons. Dungeoneering usually proves to be quite dangerous. 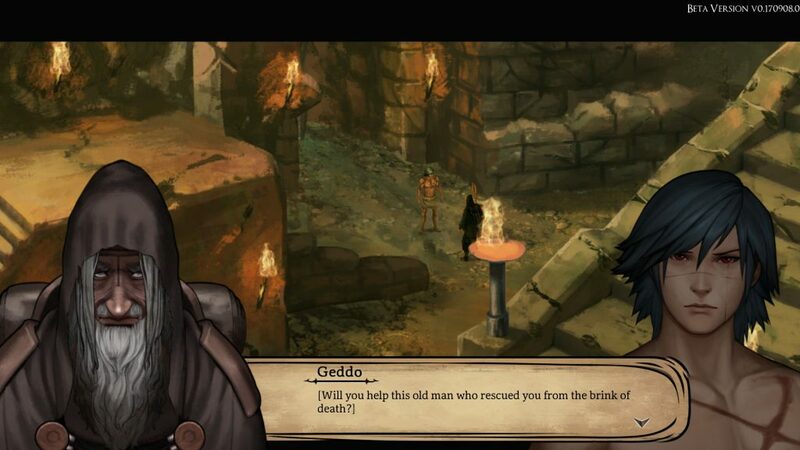 Legrand Legacy does “old-school hard” very well when it comes to dungeon delving. At first, the game’s dungeons don’t look like much. They feature simple designs, making it difficult to lose your way, and many of them are short, to boot. But, and I say this from experience, the second you mistake either of those things for “the game being easy”, you’re going to get a Game Over. In lieu of creating overly complex labyrinths, Legrand Legacy instead packs its smaller dungeons with much danger as it possibly can. 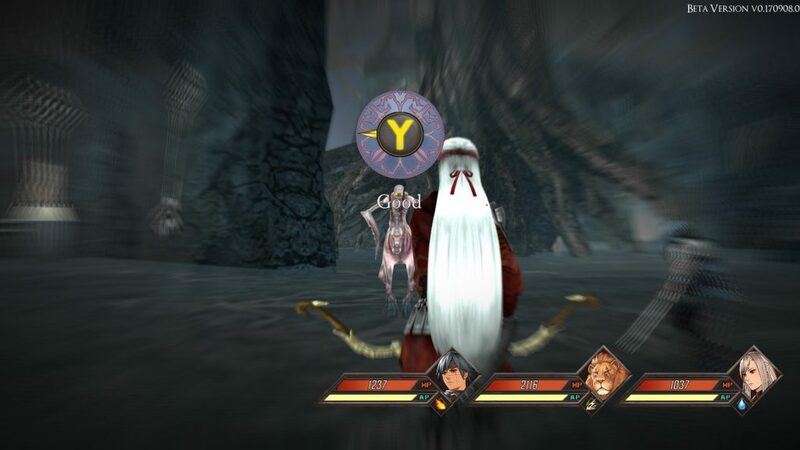 Not only is each new area teeming with monsters which — because the game’s pacing makes leveling somewhat challenging — are generally on-par or above you in terms of strength, but most also feature gimmicks. 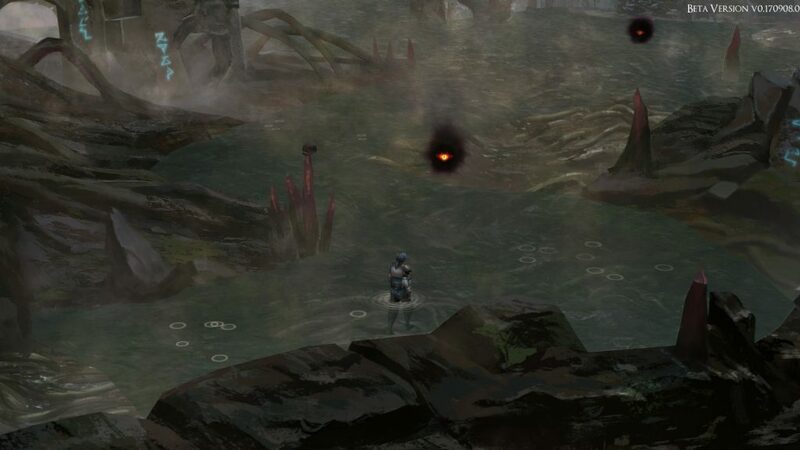 From blistering heat that drains your HP, to murky swamp water that cuts your movement, most of the areas in Legrand are less-then-hospitable. But they’re also pretty exciting. Turn-based combat is alive and well in Legrand Legacy. Interestingly enough, Legrand Legacy actually deviates from the norm a little bit when it comes to combat. 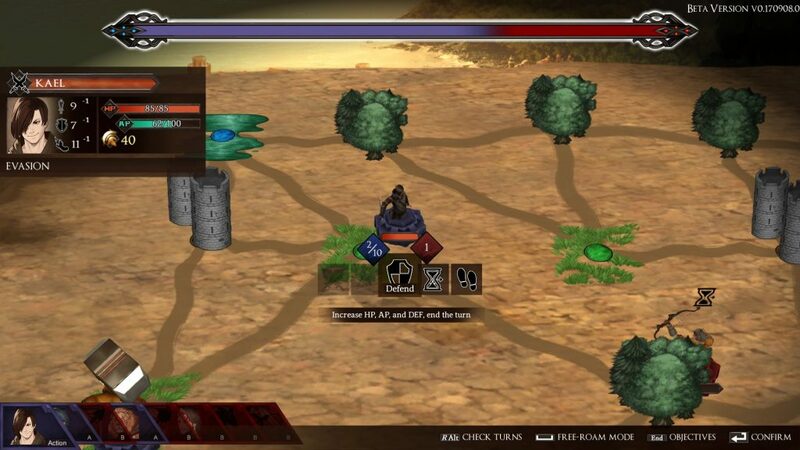 While the actual turn-based fighting is the same mechanically speaking, the way in which actions — both offensive and defensive — are carried out takes a little bit of getting used to. And that’s because they’re all about timing. Aside the use of items and a few skills, nearly every action requires proper timing. Before each character acts, the screen will darken and you’ll be prompted to push a button at the correct time. Naturally, the accuracy of your timing — designated as “Perfect”, “Good”, or “Miss” — will effect how well each action carried out, with good timing resulting in the action being carried out normally, and perfect and miss resulting in the attack being more or less effective accordingly. The game’s timing-based combat also effects how magic works. Instead of using MP, most spells (called the “Grimoire”) can be interrupted if their caster is hit by an attack. Although you can’t necessarily do anything to improve the spell’s base interrupt chance, you can decrease the chance of it happening with perfect timing. Of course, it’s not all that easy. Perfect attacks are highly effective, but they’re also very tricky to hit. Because of this, it’s important to get the timing of your attacks down as soon as possible. Failure to do so can ultimately place you in some not-so-great situations. Be careful — sometimes “Good” isn’t always “good enough”. Strategy also becomes increasingly important, the further along you get in the game. Each character has two key attributes — their weapon type, and their elemental affinity. In essence, they both work very similarly to one another. However, while weapon types are literally a rock-paper-scissors triangle, elements are a little trickier to memorize. Fortunately, the game is nice enough to indicate whether or not your attack will be effective before you make it. Unfortunately, although much of the game’s affinity system works well, I couldn’t help but notice a few imbalances. Every skill, regardless of what it is, appears to use that character’s INT stat. And, since there are only six characters total, each of them wields a different element. Because of this, you tend to end up shortchanged in certain elemental departments unless you seriously commit to balancing out your characters stats when you level them (which isn’t recommended). Legrand Legacy’s tactical battles are an absolute blast. Although it may be true that Legrand Legacy is rather linear, it’s not completely devoid of extra activities. 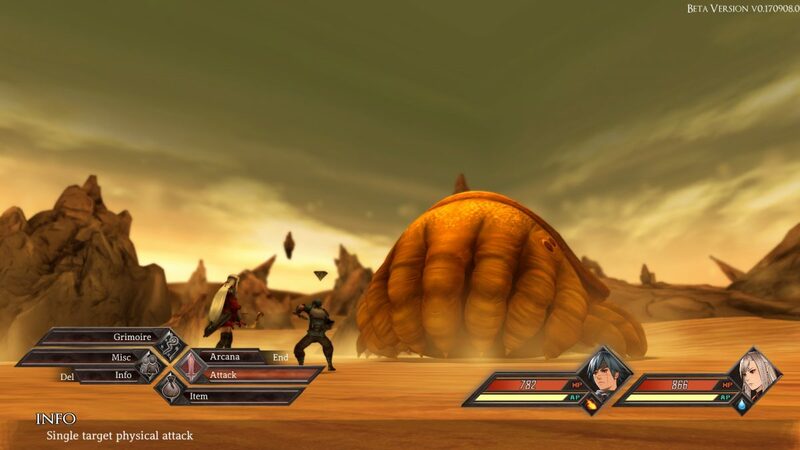 Along with a small, but highly rewarding number of sidequests offered to the player throughout the course of the game, Legrand Legacy also has a number of mini games that become available after the player reaches a certain point in the game. These include a shopping themed game that requires the player to memorize and match items, a fencing game that requires near-perfect timing on the player’s part, and last, but definitely not least, a highly addicting fishing mini-game. Not only are these fun (and free!) to play, but you’ll also accumulate points as you play them which you can exchange for a number of surprisingly rare items. Additionally, there various parts in the story where, instead of fighting normally, you’ll engage in tactical battles. And I’m talking about full-blown, detailed tactical battles here. Not only were these some of the most challenging points of the game but, if I’m being frank, they were also some of the most enjoyable. 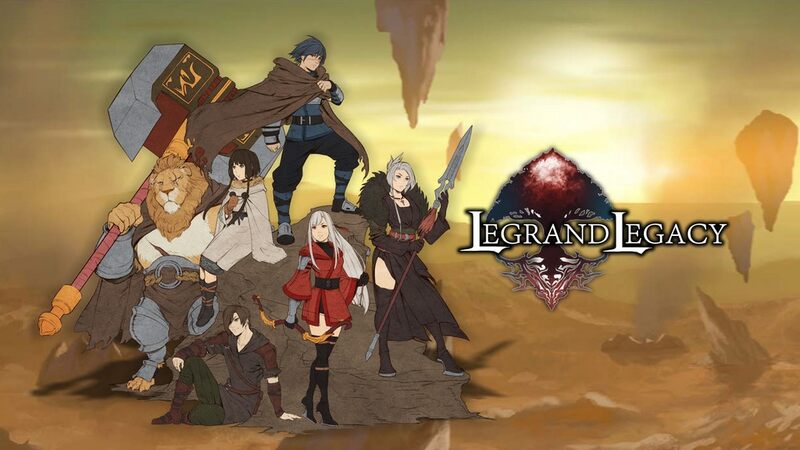 Heck, I like it enough that I’d happily play a standalone “Legrand Legacy Tactics” game, if one existed. Just be sure that you save if you think that one’s about to happen. Losing in a tactical battle gets you the same Game Over that losing anywhere else does. And, although they may be fun, you probably don’t want to play through the same battle over and over again. Simply put, I feel as though Legrand Legacy does exactly what it originally set out to do. By taking a tried-and-true old-school RPG formula, tweaking a few mechanics here and there, and slapping on a fresh (not to mention gorgeous) coat of graphical paint, this game is truly a love letter to the RPGs of yesteryear. Whether you’re actively on the lookout for a clasically inspired RPG, or you just want to dig into some good turn-based action, Legrand Legacy is an excellent choice. Trust me, you won’t be disappointed with this one. Full disclosure: This review is based on a Nintendo Switch review copy of Legrand Legacy given to HeyPoorPlayer by the publisher.